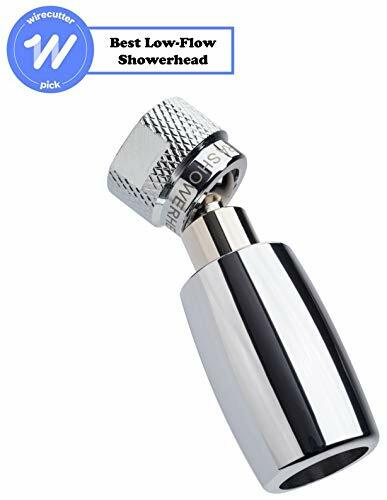 What is the Best 1.5 Gallons per Minute Shower Head? What makes for a great shower is a forceful flow when you need it? There are a number of outside reasons why showers can be weak, including iffy water supplies and feeds. But if the problem is a mismatch in the shower, you can improve things by installing a 1.5 gallons per minute shower head. Low-pressure showers normally result from inadequate indoor plumbing, misconfigured mains, questionable municipal or well water, or unfit shower fixtures. Whichever it is, the issue usually leads to a feeble shower just when you don’t want one. Local plumbers can point to the problem, particularly if it is only the shower head that needs changing. Resolving the issue can be as easy as replacing the existing unit with a more effective, high-pressure model. These designs compress and quicken the stream of water, for a more powerful effect. But, if additional fixes are infeasible or too expensive to do, a new shower head might just be enough to produce a heated shower that pleases. And by reducing usage up to half, you will be saving as much in heating costs for shower water. Finding low-flow shower heads that perform well can take time. To help out, we explain here the benefits of these high-pressure designs. We also present three of the worthiest 1.5 gpm models you can buy. If there are leaks or debris building up somewhere, a local plumber can pinpoint and fix the problem. But, if the issue is the result of less reliable well or municipal supplies, a pressure tank integrated after the mains shut-off may be an additional if costly improvement. Gravity fed systems can also disappoint homeowners, due to the lesser supply pressures produced by these systems. 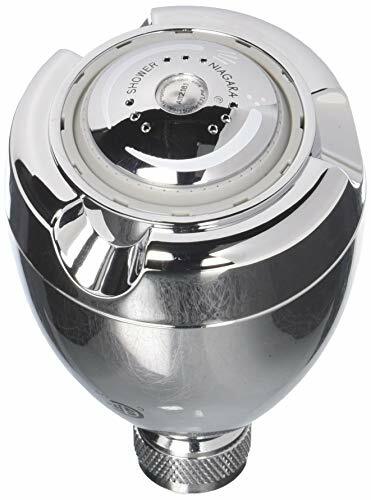 These schemes feature an elevated cold-supply header tank as well as a lower hot-supply cylinder, where flows from both feeds mix before reaching any shower or bath fixture. Users can also experience low-pressure feeds due to curb-side mains not being fully opened, perhaps as a result of nearby large construction projects. Many residences feature shut-off valves that are typically installed in separate branch pipes, which serve as checks during emergencies. It may be the case that one or more may not have been fully turned on for some reason. Or it could be that a previous owner or some workers might have inadvertently lowered pressures, by turning down the input from the water main where it enters the household. 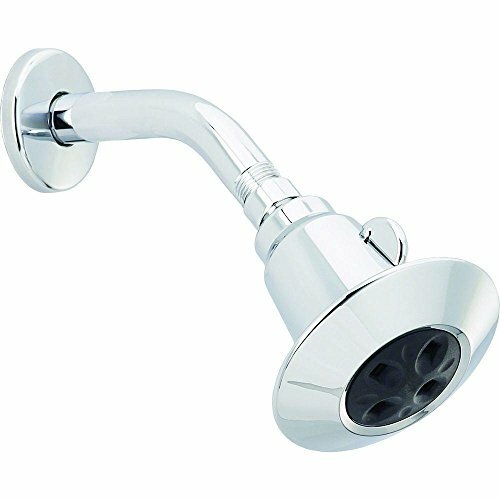 Other items that affect water pressures at the shower head are the volume valves found on shower heads with single controls. All 1.5 gpm shower heads that impose flow restrictions are not designed to pressurize streams by flowing additional water. These are built differently for that purpose, with shower head GPM describing the volumes of water ejected in terms of gallons per minute. Older models will output in a range from 5-9 gpm, which for 10-minute showers can result in some 50-90 gallons of water used. In contrast, more efficient models usually flow at no more than 1.5gpm. A similar period of time spent in the bath with these installed may result in only 15 gallons being used, for some 60-70 gallons total of serious savings. Producing higher-pressure showers has its nice advantages. You can soap quickly and rinse off readily with increased flows. As time spent while showering is reduced, less water is used up. You will experience more enjoyable showers and stronger therapeutic effects. Apart from supply pressure, the main factors that affect water flow include unit diameters and flow rates. Bigger shower heads normally produce less powerful streams of water, while smaller units with a diameter of no more than 4 inches are more efficient at maintaining optimal pressure. Some designs can be adjusted on demand to spray in economical patterns, while others integrate internal chambers that work to pressurize flows. The following consideration can be very useful when searching for the optimal mix of size and flow rates. Decent high-pressure shower heads are designed to handle low-pressure water systems. Many will pass less water while others will also inject air, all in order to increase pressure and lessen the amounts of water used. Wider coverages and stronger-feeling flows are what makes higher-performing units superior. More effective units will eject water and air forcefully enough for quick wash and a good rinse at any time. Some units will allow economical adjustments to water volume. Other designs that offer changing spray patterns will have fewer nozzles. Some have channels that additionally compress and swirl the flow, for faster and better spray coverage. A few have interior uptakes that feed in air, which raises pressure in the stream. These models effective aerate the flow for a more forceful output. This minimizes water use and lowers utility costs as well. The following are useful to know when searching for a model that suits your needs. Output pattern. If you just need a simple low-flow unit, a number of models offer one or two spray patterns. For gentler and more relaxing showers, look for those that feature 3 or more different spray patterns. Construction quality. Most 1.5 gpm shower heads come in versions made of metals or plastics. Metallic channels can cool the flowing water a little as it exits the spouts. Handheld units are usually made of lightweight but robust ABS plastic are handier in daily use. Detachable restrictors. These narrow the stream of water to generate more pressure with less water flow. Leaving them in position saves both electricity and water, but the shower experience will generally not be the best. Consistent operation. A unit that fails to please from the beginning will probably be unsatisfactory over the years. Product reputation and customers’ satisfaction can give you an idea of a model’s overall performance. This high-pressure shower head from High Sierra is one of the more innovative low-flow units. The unique mechanism generates more focused, free-flowing streams. It produces a dense spray for a 1.5 GPM model, which is not a heavy mist so much as a swarm of large and warm droplets. The compact unit has a sturdy all-metal build with a chromed finish. An internal chamber generates pressure as it evenly dispenses water for a more forceful and soothing shower. The tiny mouth-shaped spout in each nozzle clogs less while providing fuller and stronger heated streams. Many users say that the output seems to match their experiences with regular showers, that it produces faster flows than most 2.5 gpm models. Whatever it does, this design delivers a soaking experience even as it minimizes water usage, saving a lot in utility expenses. The unit can get a little noisy during showers, but it efficiently handles most low-pressure conditions. With all its pluses, High Sierra’s 1.5 GPM High Pressure Shower Head is our general pick for the best 1.5 gallons per minute shower head. This shower head offers high efficiency and rich coverage that together work to lessen utility costs. Advantages include dual 1.85/2.5gpm operation and controls for adjusting flow volumes as well as selecting among drenching and gentle sprays. The durable plastic design should last through years of heavy use. Pressure-intensifying channels concentrate streams through four nozzles, producing big drops of water. Up to a 40% reduction in water usage is possible when compared to regular shower heads. The experience in the wet is nothing fancy, but you will get the feeling of a more forceful stream with this design. Its ‘H2O Kinetic’ mechanism works by sculpting the flow into wavy patterns, for a fuller and more energetic effect. Only four jets eject water out of the unit’s head, though. Users may gain more forceful showers, but there seems to be no real difference in feel between the two gpm flow levels. A small control lever adjusts flows, but it can be somewhat tricky to operate with wet fingers. The unit readily connects to a standard 1/2″ shower arm and all mounting hardware needed for a proper installation is included. In any case, its dependable operation as well as dual-flow plus dual-pattern design justifies its very reasonable price. One of the better budget designs is from Niagara. Unlike with other high-pressure designs, this unit uses a pressurizing chamber to generate a forceful output while limiting flows. Rubberized nozzles minimize clogging and are readily cleaned. The unit’s pressure-compensating mechanism reduces water usage while producing consistently powerful streams of water, irrespective of supply pressures. Since the flow of water is not aerated, heat loss is generally lower than with air-injecting designs, which translates to greater energy savings. Its 9-nozzle spray module can be readily turned to produce a mild needle spray or a powerful stream. A nice massaging shower can be dialed in, as well as needle and combination sprays. Some users think the cone of water produced is not wide enough for maximum comfort, though. With its solid ABS thermoplastic build and long-lasting, white or chromed finish that resists corrosion, the unit is good for a 10-year warranty. It is a great choice if you are on a budget. The best 1.5 gpm shower heads excel in efficiency and performance while offering excellent conveniences. Among the 1.5 gallons per minute shower heads we reviewed, a clear choice emerged. High Sierra’s 1.5 GPM High Pressure Shower Head produced a consistently satisfying experience. It may be pricey, but its robust and high-performing design is superior to the rest when it comes to delivering a classic shower, despite weak water pressures.